The LM Macroscope 9x (5x and 3x) has been designed for modern full frame, APS-C and four thirds camera sensors. A special lens with high numerical aperture of 0.2 shows even the smallest details. With the LM Macroscope 9x (5x and 3x) a new generation of objectives, designed specifically for focus stacking, is entering the market. Thanks to this technology, the image quality of professional-level photographs can be enhanced even further. The focus stacking technique uses a motorised focusing rail that moves the lens unit and captures multiple frames (image stacks) at different focus points. The individual frames are then blended to produce a single image with a very high depth of field and resolution. This process is controlled remotely using a special software and can be monitored on the computer. Conventional objectives generally yield an acceptable resolution and a good depth of field. However, in many cases, users still needed to decide between high resolution or high depth of field and come to a suitable compromise - until now! When designing our objectives, we focused on achieving the highest resolution possible. 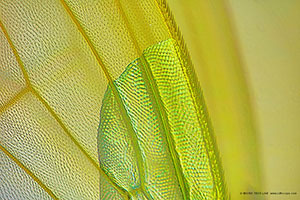 Using the focus stacking technique, it is possible to produce breathtaking images with high resolution and near unlimited depth of field. This extended depth of field is achieved by collecting several series of single frames (Z-stacks) and merging them into one image, so that even the smallest details can be made visible. With a full format camera,the lowest magnification of 3x results in a large FOV (field of view) of 70mm x 46mm at a working distance of 200mm. In this configuration the depth of field is approx. 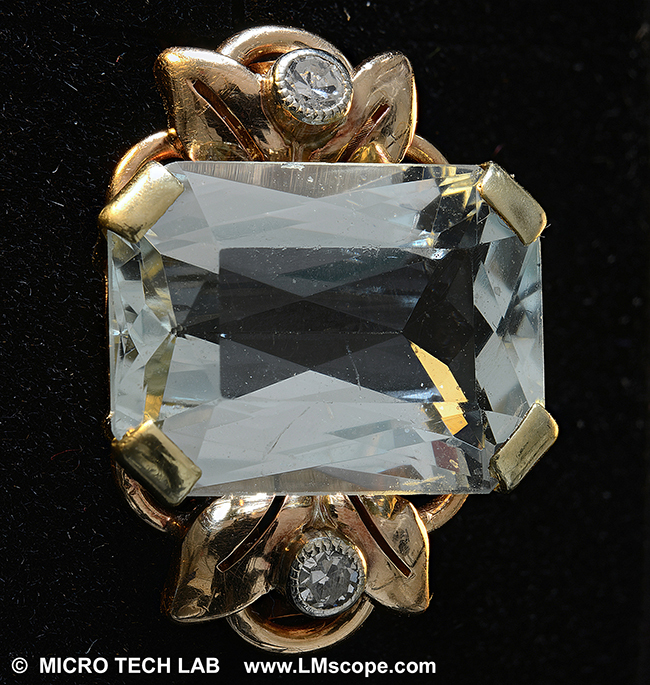 10mm, which is perfectly adequate for many applications with three-dimensional specimens even without focus stacking. Thanks to the large FOV combined with the high resolution, the stitching technique (single frames are blended into one high-resolution image) is no longer required. The macroscopes are equipped with top-notch quality, plan achromatic, hard-coated objective lenses. 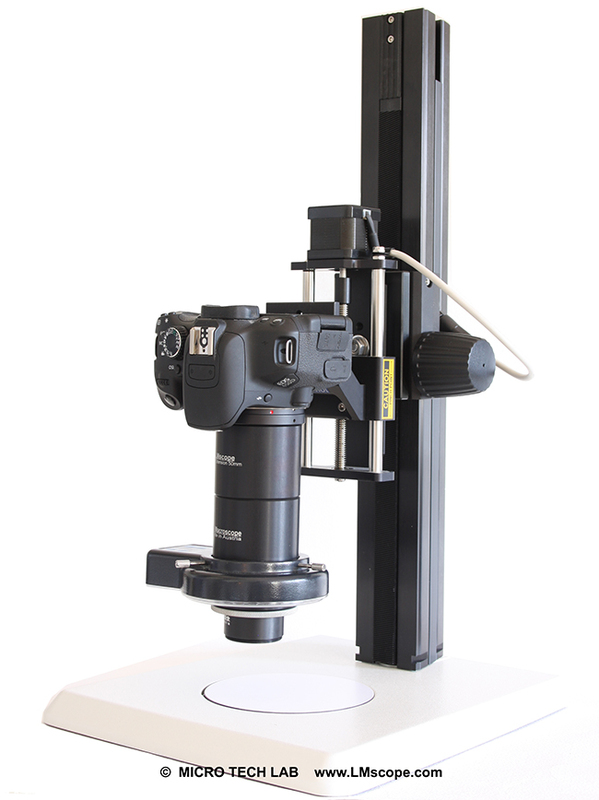 Manufactured by hand in Austria, the LM macroscopes are designed for professional use (research, industry, universities, hospitals, etc.). 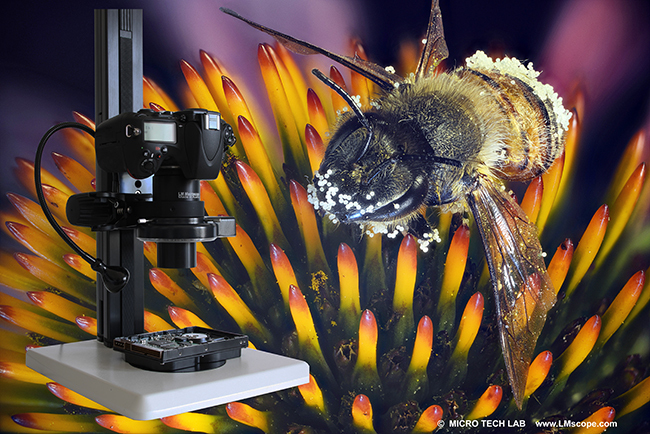 Our LM Macrosocope 9x has a variable aperture to optimise image quality, a feature not present in most stereo microscopes. 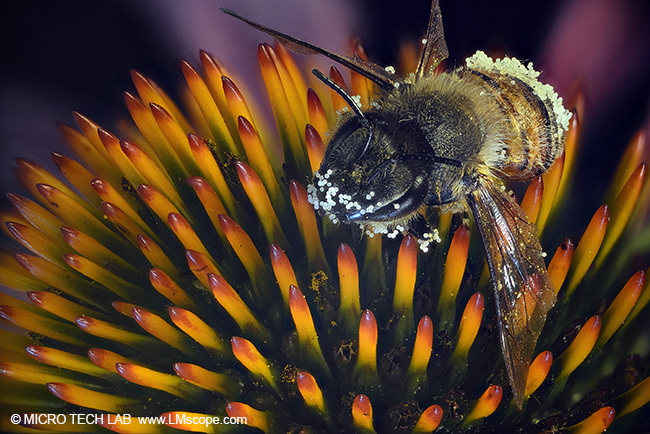 The benefits of the LM macroscopes are profound. The system has a centric beam path and is thus considerably more powerful than equivalent systems with double beam path or conventional stereo microscopes. Due to their modular construction, they are extremely flexible and enable a multitude of magnification combinations (3x -> 20x). The lenses are also available without a tripod. We recommend using the LM macroscope with a motorised focusing rail (STACKSHOT made by Cognisys-inc) and the Helicon Software (Helicon Remote Software and Focus Editing Software). This well-proven combination is very powerful and easy to handle. LM_Makroskop_20x_Pro LM Macroscope 20x (3x, 5x, 6x and 10x): Set consists of LM DSLR Macroscope lens 9x, Plan Lens 2x, LM macro stand 5, LM LED ring light with 60 LEDs, LED spot with gooseneck, Camera Lens Mount Adapters for Canon EF, Nikon F-mount, Sony E-Mount and Micro Four Thirds. Camera is not supplied with the set.